To received discounted rate, each person in the group must fill out an online waiver and the group must make one payment when purchasing jump tickets. The Ultimate Party Place: Next time you’re booking a party or event, think of Altitude Trampoline Park. We offer several exciting party packages. We make a great gift too. Gift certificates are available for purchase. Altitude Trampoline Park can accommodate large groups up to 250. 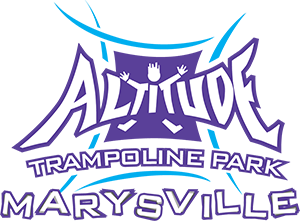 To book your event, please call 360-454-0099 or email info@altitudemarysville.com. All jumpers of Altitude Trampoline Park must sign a waiver to participate. Jumpers under the age of 18 must get parent/guardian consent and sign-off. Click here to fill out our waiver so that you can head straight to the courts when you get here! All sales are final. No refunds can be granted for any tickets purchased online. All purchases are non-refundable and non-transferable.